The Colt Delta Elite 10MM is probably one of the sweetest 1911 style pistols ever made. Among the 10mm enthusiasts, it is one of the more sought after guns (this side of the Bren Ten). The Delta Elite 10MM is similar to the Colt M1911A1 pattern with the rounded mainspring housing and relief cuts around the trigger guard. 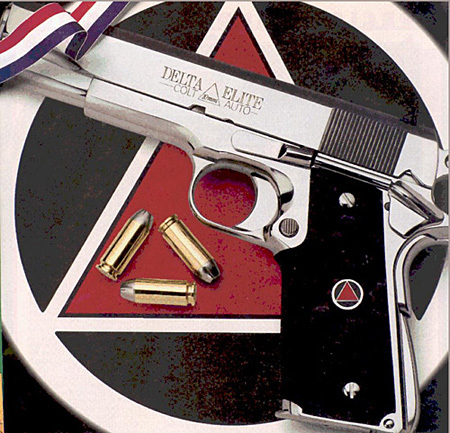 The 10mm is a stout cartridge, but the Delta Elite 10MM is a gun that can handle the power.